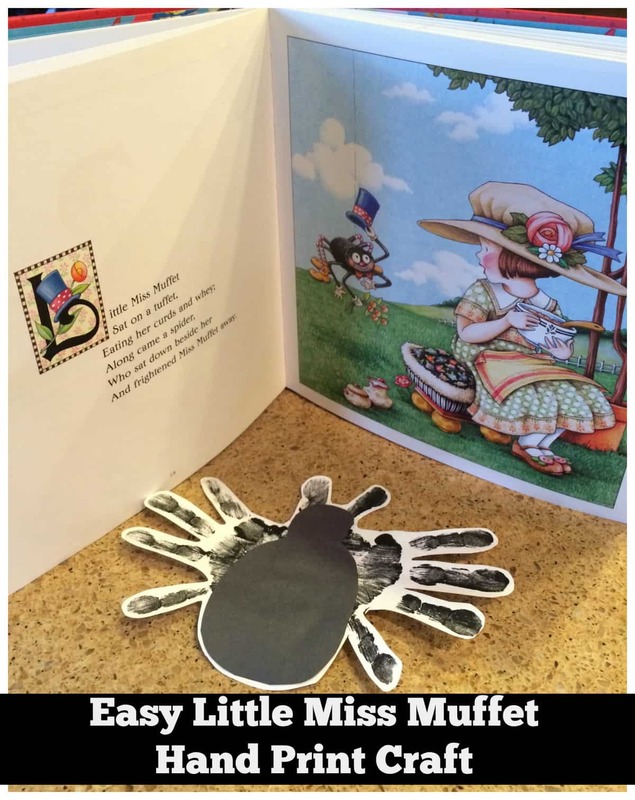 This is a really fun craft that goes perfectly with the Little Miss Muffet story. It is perfect for preschoolers and easy to make. 1. 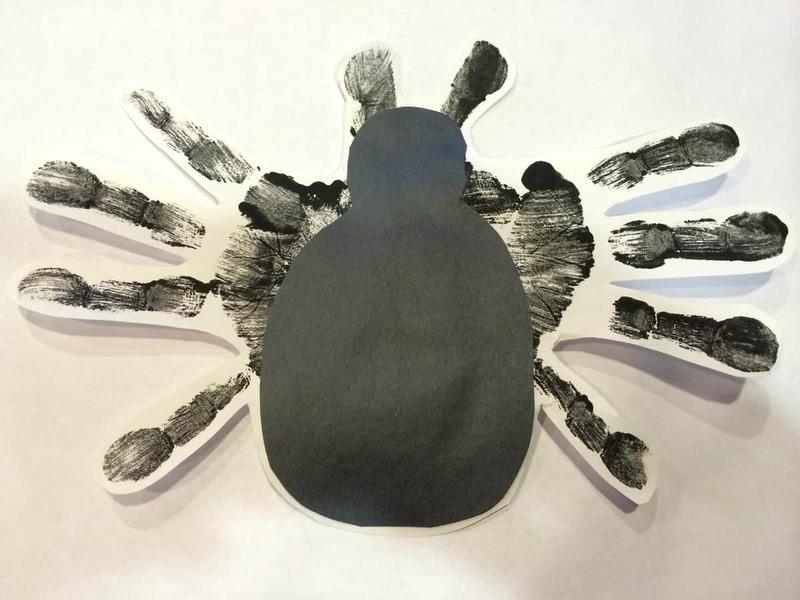 Cut out black paper for the shape of the spider body. 2. Paint black paint on kids hand. 3. On white paper, stamp hand prints with palms of hand touching. 4. When dry, glue on black paper for spider body. 5. You can keep it on the full piece of paper, or cut around the spider shape.